Today only, Old Navy offers adult sized sweaters for just $12. Choose free store pickup to avoid a shipping fee. 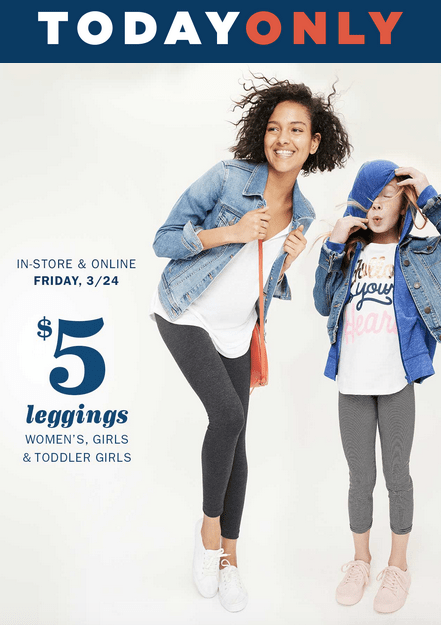 Today only, online and in store, Old Navy is offering women’s leggings for just $5. Discount also applies to girls and toddler girls leggings. Online orders get free shipping when you spend $50 or more. 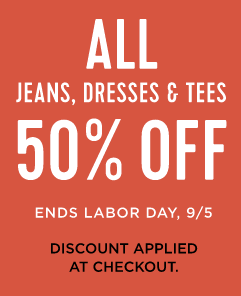 Ending 9/5, Old Navy offers 50% off all jeans, tees and dresses in store and online. No coupon required. Discount given at checkout. Shipping is free on orders of $50 or more or pay a flat $7. 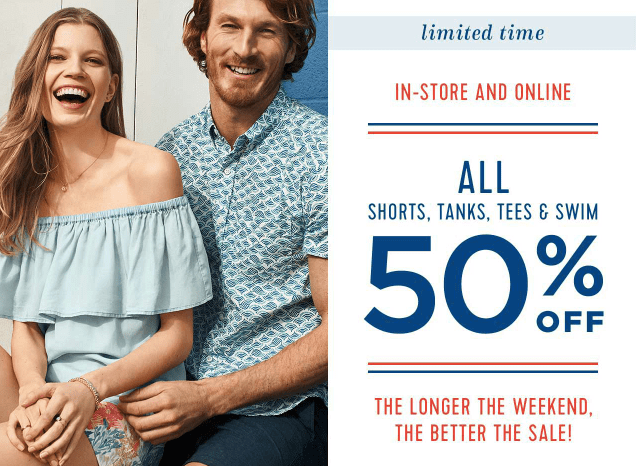 The Old Navy Memorial Day sale is underway. Get 50% off all tanks, tees, shorts and swim. No code required. Discount taken in cart. Get free shipping on orders of $50 or more, otherwise it’s a flat $7 to ship. Today only, on the Old Navy website you can get free shipping on your order with no minimum purchase with code FREESHIP. 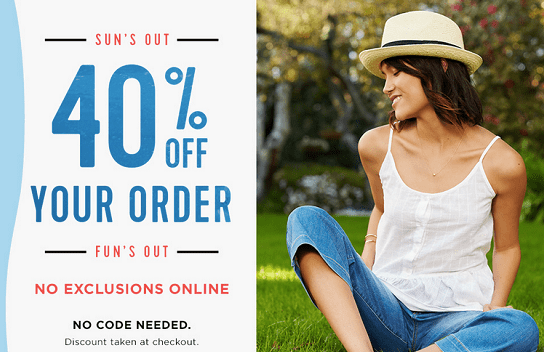 Also, you will get 40% off your order. Discount shown at checkout. Today only, in store and online, Old Navy is offering 50% off select styles of shorts. Get free shipping on your order of $50 or more or pay a flat $7. 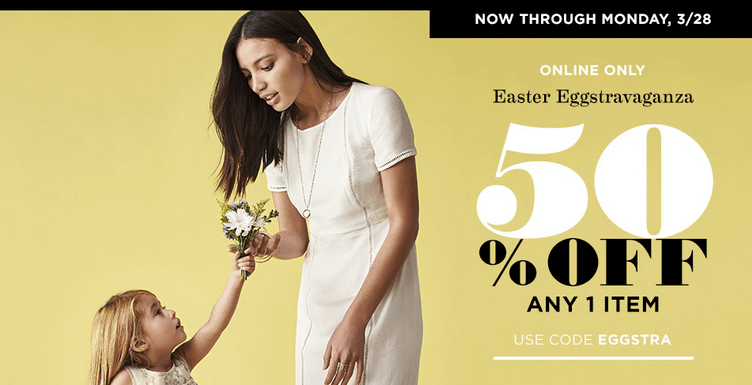 Today only, Old Navy is offering 50% off one item with code EGGSTRA. Plus, everything else is 30% off. No code needed. Shipping is free on orders of $50 or more or pay a flat $7. Click here to shop. 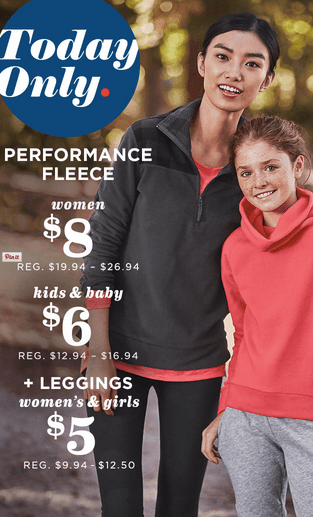 Today only, Old Navy is offering $5 leggings & $8 fleece today only in store and online. Select styles only, while supplies last. online orders get free shipping when you spend $50.